A magic ring is a beautiful thing. 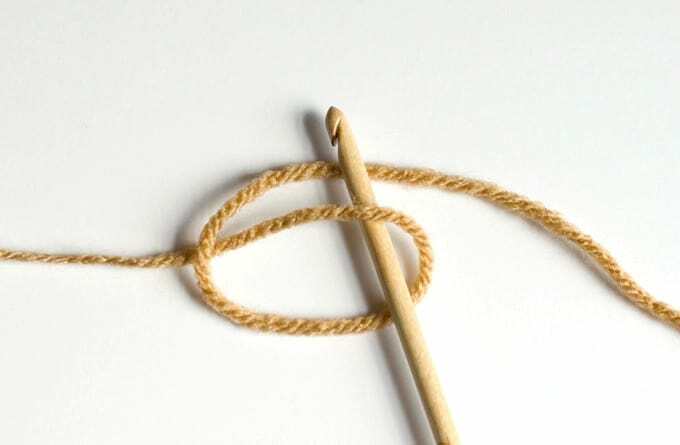 It is worth learning how to start circular crochet with a magic ring because it allows the crochet to be pulled tight without the inevitable hole of other methods. 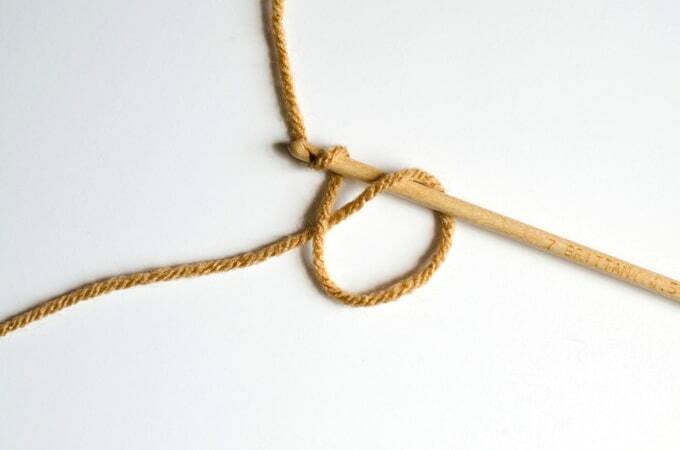 Once you learn how, it really is quite easy and hopefully this step by step tutorial will teach you just how to crochet a magic ring. A magic ring is also called an adjustable ring. I remember when I first discovered the magic ring. At the time I’d been crocheting many, many years and thought I knew all the basics. 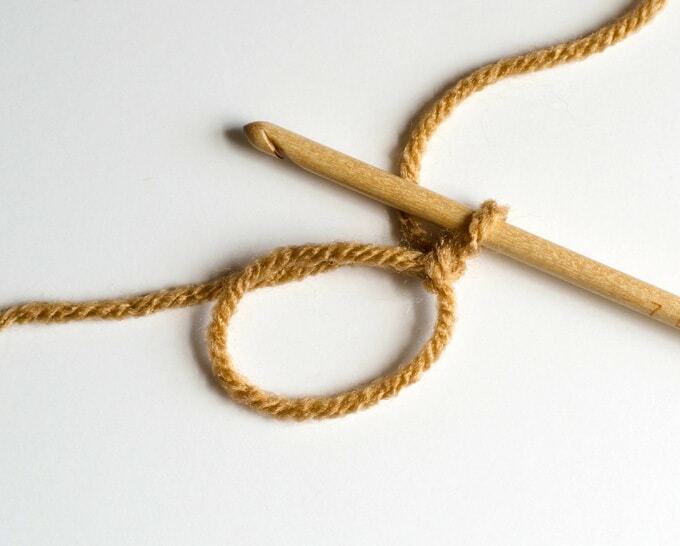 Learning how to crochet a magic ring is a game changer. Suddenly the problem of stuffing popping out of opening of a crochet piece is no longer an issue! Gotta love that! It took me a long time to really understand how to make a magic ring, but I’m so glad I did! 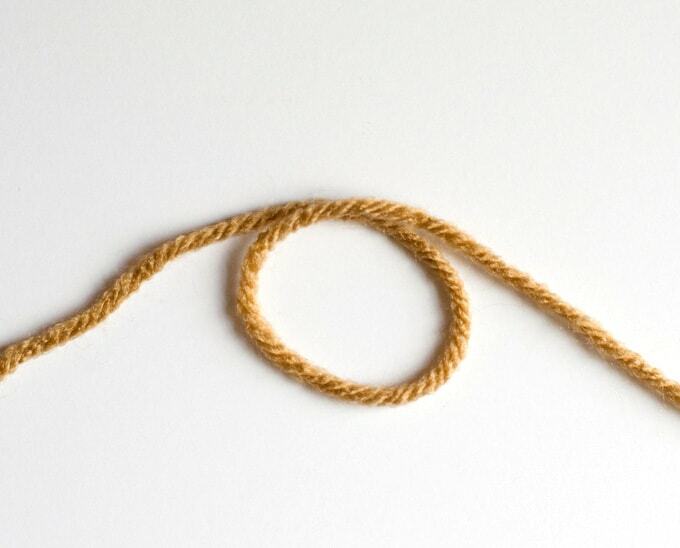 First, make a loop. To the right is the skein of yarn. To the left is the end of the yarn. 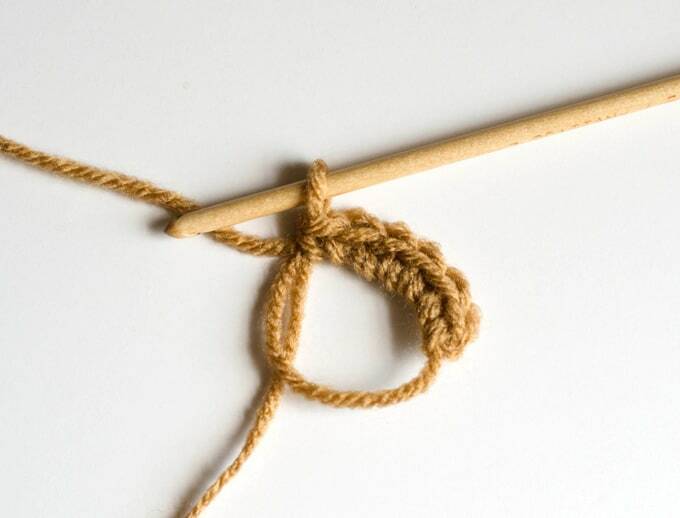 When all the single crochet are done, pull the loose strand of yarn. See how nice and tight the opening is? A magic ring is perfect for making amigurumi and stuffed toys; no hole for stuffing to peek through! And there you have it! 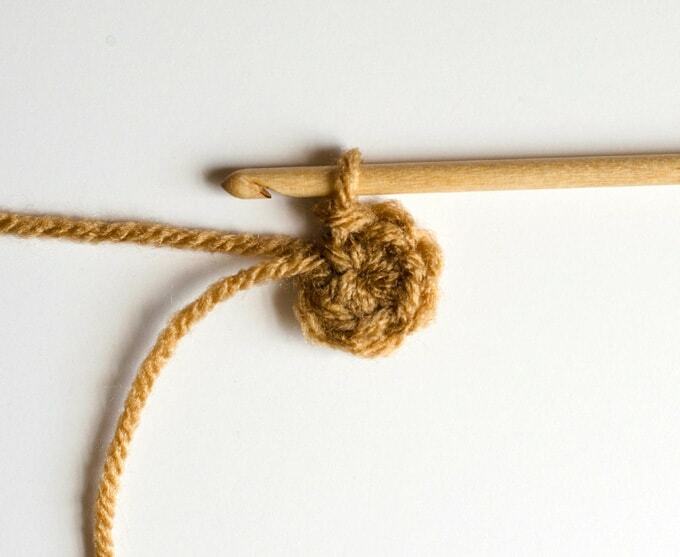 You now know how to crochet a magic ring! Thank you ,I love to try to crochet , I have a lot to learn though . And with great artists like you and others ,I pray I can learn a lot . I am 74 and was in a very bad wreck in Dec 3 of 2015 .Broke my neck in two places and did a lot more damage to my self ,but with God’s help I am going to make it . I’m glad the tutorial was helpful to you. I hope your healing continues and that you enjoy your crochet! I am anxious to try amigurumi ( spelling ?). I cannot find any information concerning if this can be done by beginner Crocheter. Can you give me any guidance? Thanks for the clear tutorial on the magic ring, it is the clearest I’ve seen! The only problem with this new found love of crocheting is that I can’t finish one project fast enough before I want to try a new one! How do you deal with so many beautiful patterns and videos in other languages? Very frustrating, isn’t it? I love to make amigurumi. To make amigurumi you need to know how to crochet in the round, how to single crochet and how to increase and decrease. If you feel comfortable with those things (or don’t mind learning as you go), you will be fine trying it out. I have the same problem with projects… i don’t even try to count the number of projects I’ve started. It is part of the fun of crocheting! The internet has really opened up a huge variety of patterns and videos–some of which are in different languages. Here is what I do … for amigurumi (and other patterns too), shapes usually increase by the number 6. So the first row will have 6 stitches, the 2nd row 12 stitches and so on. If I’m on foreign website, I use Google Translate on the site. That helps a little bit. Then I look at the stitch count per row. That helps me sort of de-code what the designer is doing. I don’t watch a lot of crochet videos (mostly because I’m way too impatient). But when I do, I often turn the volume completely off and just watch what they are doing. Hopefully that helps! I hope to do a series of posts on amigurumi in the future! Yes, you are right. I am a right handed crocheter, so all my instructions, etc. are based on that. Everything I’ve read about teaching a left handed crocheter says to have them sit opposite of you. So perhaps you could try holding a mirror up to the images and positioning your yarn in a similar way to that reverse image? Maybe that would help? Actually it sounds like that is what you were planning on trying anyway. Let me know if it works for you.